In Revelation 12:17, we read that the 'dragon', which is Satan, was 'wroth with the woman', which is God's church, and 'went to make war with the remnant of her seed.' Now Satan had already tried the persecution route, in a bid to wipe out God's church, during the dark ages. But he found that this only made the church grow! So what was he to try with the remnant church in the end times? What better way than to destroy within, using infiltration, deception and changing the very core beliefs of God's remnant church. If Satan could succeed in 'deceiving God's elect' (Matthew 24:24), in causing them to turn from the truth, then he could triumph! So this heresy which was to come into our ranks, was clearly to be of a most serious nature, which caused Sister White to 'tremble' for the people of our church. She warned of 'changes' that were to take place in our church after she died. Changes that would change the very religion of the Seventh-day Adventist denomination. This is the 'war' which Satan was to bring to God's end time church. A war much greater than using destroying weapons. It would be a war which would seek to remove the very foundation of our faith and cause the Seventh-day Adventist Church to 'clasp hands' with Babylon! And what could be more shocking or 'startling', than to deceive the church into worshipping a false god! Specifically, the false trinity god of Babylon! Sadly, the church did not listen to this council and entered into controversy over the personality of God and His Son, seeking to sweep away the foundation of our church and bring the trinity god of Rome into our church. There was a movement right after the death of Ellen White and our pioneers to adopt Trinitarianism into our church. And although there were a number of leaders involved in this movement, one of the main characters was the man LeRoy Froom. You see, the Seventh-day Adventist Church was seen as a 'cult' by the rest of the world, and so LeRoy Froom and others, instead of putting forth the straight truth to convince the world that we are not a cult, they changed the very foundational pillar of our church, the God we worship, to bring the Seventh-day Adventist Church more in line with the rest of the world. And what is the foundational teaching which the churches of Babylon unite on? The Trinity god! Just take a look at Froom's confession in his book 'Movement of Destiny'. Don't the various Sunday keeping churches have 'priceless leads' in scripture to support their false Sunday sabbath teaching, the immortal soul teaching and others? But those so called 'priceless leads' are taken out of context and wrongly interpreted. So what does Froom admit to turning to? 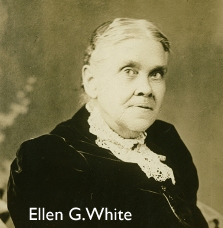 [Because there wasn't any hard evidence in Ellen White's writings to support his case]. Froom was certainly not alone in this. In fact, the then President of the General Conference A.G.Daniells, supported Froom in bringing in this new trinitarian view of God into the church. Froom states ... "Back in the spring of 1930 Arthur G. Daniells, for more than twenty years president of our General Conference, told me he believed that, at a later time, I should undertake a thorough survey of the entire plan of redemption - its principles, provisions, and divine Personalities ... But, he said, it is to be later-not yet, not yet ... Possibly it would be necessary to wait until certain individuals had dropped out of action, before the needed portrayal could wisely be brought forth." (Movement of Destiny, p.17) ... Those 'certain individuals' who needed to 'drop out of action' (die), before properly implementing this plan were probably influential family members of the original pioneers. So what was the next step? The following quote should cause every true Seventh-day Adventist to shudder! Just a quick note on the term 'Arianism' used above. That is a tag given to anyone who is non-trinitarian. Just like the three horn tribes who were wiped out by the Papacy in Daniel 7. They too were non-trinitarians. But the Papacy has made it look like Arians believed Christ was a created being. And this is completely fabricated just to make non-trinitarians look like they are in error. We do not believe Christ was created. We believe He was begotten, just as the Bible states! For historical information regarding this, see DID ARIUS REALLY BELIEVE CHRIST WAS CREATED? 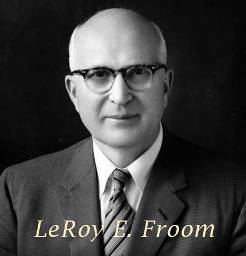 And what was the primary purpose of what LeRoy Froom, Daniells and others did in bringing the trinity god teaching into the Adventist Church? ... "We are one with our fellow Christians of denominational groups in the great fundamentals of the faith once delivered to the saints." (Questions on Doctrines, p.32). Unity with Babylon was the primary purpose! Oh Lord, have mercy on us! Assumed? Sunday keeping is ASSUMED! The immortal soul teaching is ASSUMED! And many other teachings of Babylon are 'ASSUMED'. Sadly, the Seventh-day Adventist Church has now been deceived into basing their beliefs on assumption, rather than a 'thus saith the LORD'. How sad. 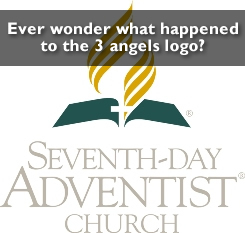 No wonder there is little power in the Adventist Church today. 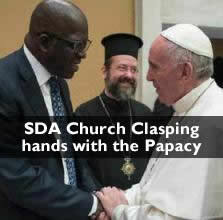 No wonder we have leaders clasping hands with the Papal Church. Apostasy! Apostasy! Wake up! Wake up! If you would like to find out the truth about the false trinity god and learn about the one true God and His Son, then please see our following pages: Is the Trinity Teaching Biblical? | How many beings in the Godhead? Is Jesus the Literal Son of God? | Who is the Holy Spirit?